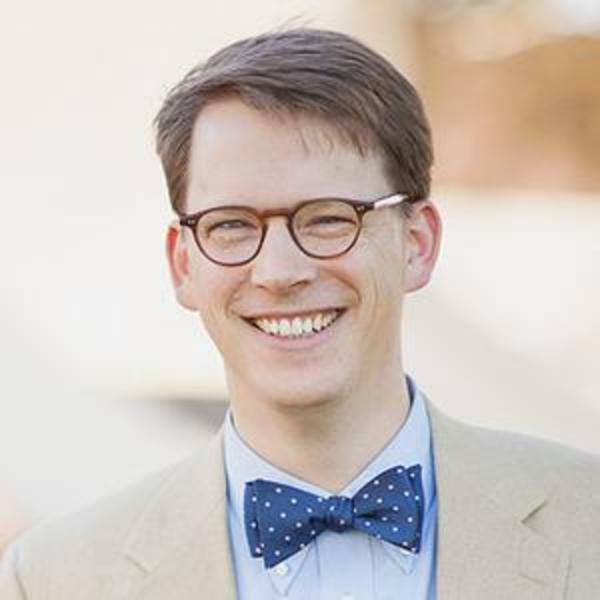 In addition to being a general enthusiast of great books, Matthew Wright is a political theorist who specializes in the Thomistic-Aristotelian natural law tradition. This entails a methodology particularly sensitive to the diverse forms of natural association and authority that fall within political communities. He is interested in understanding how groups like families and churches relate to the political community and what political life uniquely contributes to the full development of human social capacities. Born and bred in the South, Matthew is married to a proud Alabamassippian, Ruthie, and together they have three children. The Wrights enjoy campfires, national parks and barbecue. “The Aim of Law and the Nature of Political Community: An Assessment of Finnis on Aquinas,” American Journal of Jurisprudence 54 (2009): 133-160. “Natural Law, Civic Friendship, and Stanley Hauerwas’s Counter-Polis Thesis,” in Natural Law and Evangelical Political Thought (Lexington Books, 2013), 225-249. “Prepared to Lead: A Defense of Liberal Education,” Symposium (publication of the Torrey Honors Institute) 2, no. 3 (2002): 1-2. “Civic Friendship as the Substantive Political Good,” presented at the Annual Meeting of the Southwestern Political Science Association, New Orleans, Louisiana, March 27-30, 2013. “The Common Good, Civic Friendship, and Political Authority,” presented at the Annual Meeting of the American Political Science Association, New Orleans, Louisiana, August 30-September 2, 2012. “Material and Special Parts in Aquinas’s Understanding of the Body Politic,” presented at the annual meeting of the Southern Political Science Association, New Orleans, Louisiana, January 12-14, 2012. Discussant for panel, “Theories of Moral and Political Obligation” at the annual meeting of the Southern Political Science Association, New Orleans, Louisiana, January 12-14, 2012. “Formal Properties of the Political Common Good,” presented at the annual meeting of the Midwest Political Science Association, Chicago, Illinois, March 31-April 3, 2011. “Disentangling the Social and the Political in Thomistic Political Thought,” presented at the annual meeting of the Midwest Political Science Association, Chicago, Illinois, April 2009. “The Roles of Family and State in the Moral Education of Children,” presented at the annual conference of the Notre Dame Center for Ethics and Culture, The Family: Searching for Fairest Love, South Bend, Indiana, November 6-8, 2008.